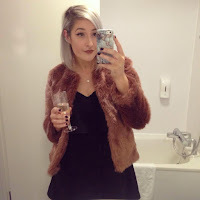 Floral Danielle: Wednesday wishlist #21 - First of the Christmas wishlists! Wednesday wishlist #21 - First of the Christmas wishlists! I love chocolate orange. Terry's Chocolate Orange. Costa orange flavoured hot chocolate. I just love the taste and the scent, it's one of my favourite things ever. 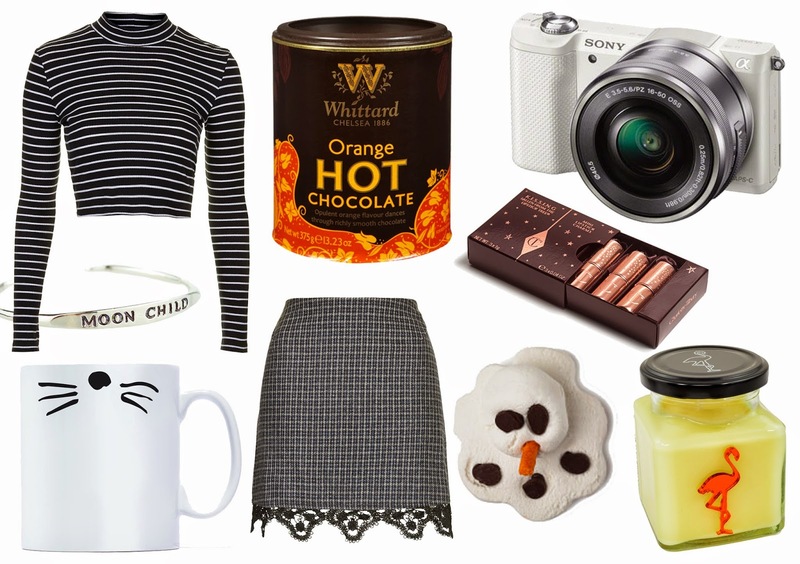 Last year I bought my first Whittard product and that was the white hot chocolate (which is also incredible) so when I realised that they also did an orange flavoured hot chocolate I knew it had to be on this years wishlist! I've only heard about Charlotte Tilbury recently and now I have a wishlist of her products as long as my arm! You may have seen that I featured a few of her products on my beauty wishlist here, and that included a lipstick. She revealed this week that was bringing out this gift set, which includes 3 miniature versions of her famous lipsticks - perfect for keeping in your handbag! Okay so which of you watches AmazingPhil and Danisnotonfire? They're by far my favourite YouTubers, I could just watch them for hours on end and they bring me so much happiness! They've recently added some new bits to their online Dan and Phil shop, and I knew instantly that I needed this mug. It's super cheap and when you drink from it you get instant whiskers! This skirt is such a cute idea! I have quite a few tweed skirts to be honest so I might just sew some lace onto the bottom of one as this is kinda expensive for what it is, but how cute would it look with a little black turtle neck jumper during Winter?! I've been a fan of Flamingo Candles for ages now. They have the cutest little packages in their square jars with big flamingos on the front in so many colours and scents. I wrote a blog post about some I already own here, and then when I heard they were bringing out a Christmas range I went to go have a look, and I saw that they had a chocolate orange flavour! Oh my goodness, I need this in my life along with the Whittard chocolate orange hot chocolate... wouldn't that be perfect!? Are any of these items on your wishlist too? Which is your favourite pick? I love the look of that Sony camera, it's a great price with that reduction too! lovely wishlist, totally wanting a new camera as well. Which camera are you after? I've never tried any Charlotte Tilbury makeup but the mini lipsticks set is definitely on my list as well! I actually haven't tried any of her make up yet either! I love your wish list, I also have the Lush Melting Snowman bath melt on mine!! And that Flamingo candle sounds amazing! They're both such cute items! Yes you should, it looks like the perfect camera! Hehe I started my Xmas wishlist as well, tucked in my tablet for now but ready to pop up at the right time!love your choices and wish you good luck with the camera!fingers crossed you get it! I want the Dan and Phil Shop Whiskers Mug, it is so cute! That mug is so cute! Such good ideas for Christmas! Need to start thinking of what I'd like, it's going to be the same as every year though, makeup and skincare! You left your link on Twitter, only just got round to checking it out ;) thank you!